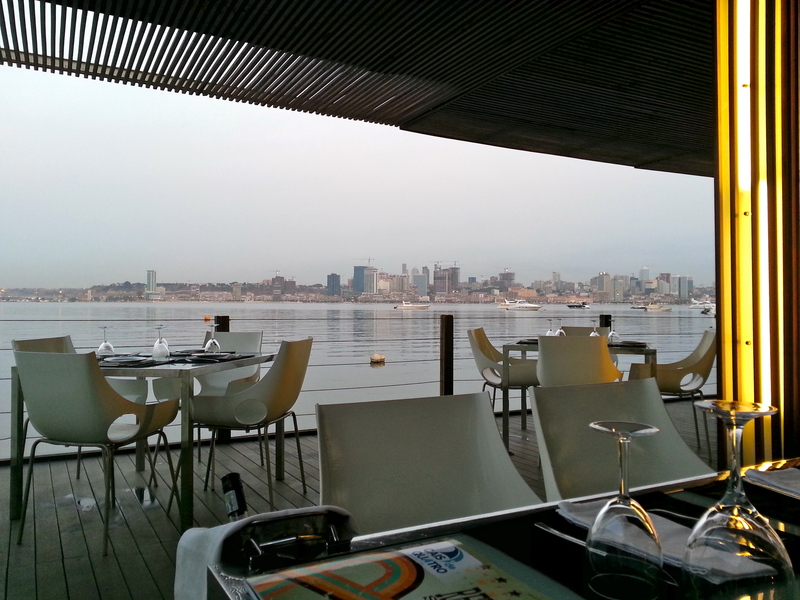 My purpose in starting this blog is to chronicle our experiences here in Luanda, mostly because my memory is horrible. I almost can’t write things down fast enough! We have been here for just over two weeks and my memories of the trip here are already hazy. So…I will backtrack a bit just to get it all down. We arrived at the airport with ELEVEN huge suitcases, each one well over 50 lbs. My husband had preceded me to Luanda by a month, bringing nine suitcases of his own, and then came back to London to help me move down. I am so very glad he did! Managing that much baggage makes you question our obsession with things. We all have way too much stuff. Nothing makes that more clear than when you see it all piled up in front of you, and the British Airways check-in agent is looking at you like you are crazy. And then proceeds to charge you a pretty penny to load all of it on to the plane. In my defense, we did not get a sea shipment for our household items. The port of Luanda, where absolutely everything that comes into the city arrives, is a chaotic and completely inefficient operation. As a result, a shipment by sea can take up to nine-months to arrive. Shipping to any normal place only takes 6 to 8 weeks, or less. So, a sea shipment is out of the question. 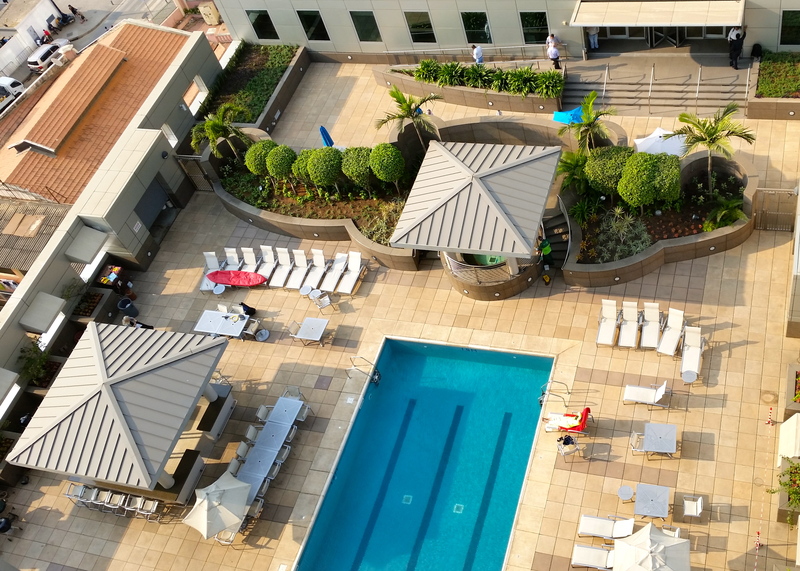 We did get a small air shipment, but that can take anywhere from 3 weeks to 3 months, so you are forced to bring everything you could possibly need for the first three months by suitcase. Knowing that shopping here is very limited, and incredibly expensive, I filled up suitcase after suitcase with necessities such as clothes and shoes for every possible occasion, spices, batteries, a printer, office supplies, specialty coffees and teas, granola bars (for times when you don’t trust the food), and of course extra makeup and hairspray. I’m from Texas, y’all. The travel gods were with us, as all eleven bags arrived safe and sound. I had split up my things into multiple bags, in case one or more was stolen or lost. Imagine arriving with my bag full of underwear nowhere in sight, and no possibility of buying more! Enough said about that. We even were lucky enough to have the pre-arranged car and large van waiting for us – something that many of the new arrivals do not get. We had heard many stories of arriving with tons of bags and then sitting for hours waiting in the small, cramped arrival room for a driver to show up. Tango Delta is the name of the car service used by our company and they are known to be very unreliable. In fact, my husband had been “tango delta’d” on many previous trips. 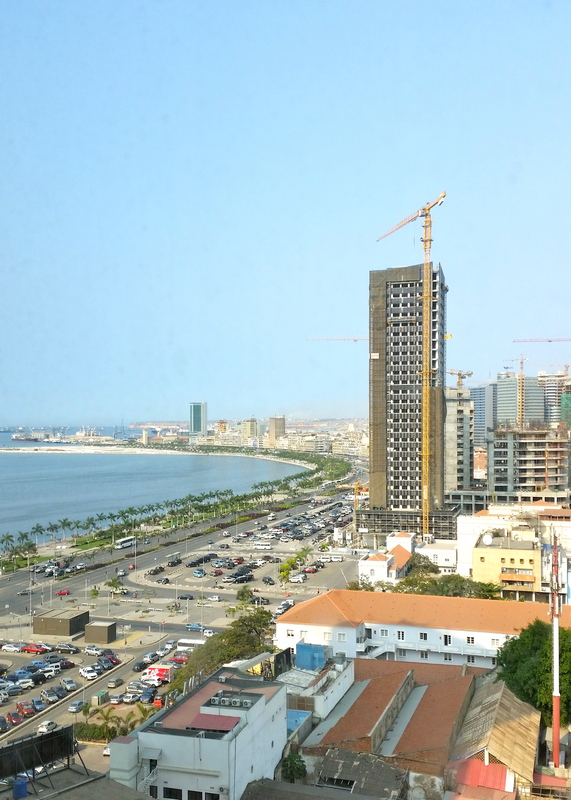 But on this trip, our driver was there, the van was there, our bags were there, and we cruised to our apartment with the infamous Luanda traffic nowhere in sight. If there had been a way to buy a lottery ticket, I would have done so on that day! It turns out, the only thing in any of those suitcases that was worthwhile was the printer. There is very little need for hairspray and makeup here. We spend our days trying NOT to be noticed. Likewise for nice clothing. You want to look like you don’t have any money on you. Theft and muggings are a big problem in Luanda. No jewelry, a small purse (if any) and very basic clothes will be my uniform for the next three years. Loose tops and pants with pockets to hide money, keys and a phone are a must. High fashion, it is not! On my next visit home, Walmart will be my first stop. At my age, you would think I would know better. My husband and I moved to London in 2011 for our first taste of expat life. I knew he would be working much of the time in Luanda, Angola and I knew that his company eventually wanted us to move here. 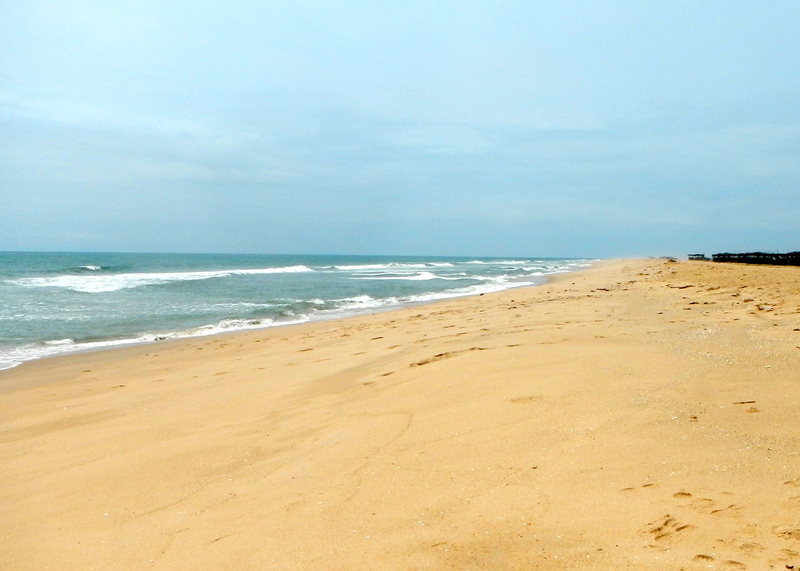 “I will NEVER move to Angola”, I foolishly declared – virtually daring the Big Man Upstairs to teach me a lesson. Here we are, three and a half years later, and I am eating my words – with a side of piri-piri sauce. Lesson learned. London was a whirlwind of weekend trips to places like Paris, Amsterdam and Salzburg. My life was easy, cosmopolitan, and completely civilized. Afternoon tea was my favorite activity. To say things here in Luanda are different is a laughable understatement. I have changed hemispheres, and with it my life is now the polar opposite of what it was before – and I love it! I would have never guessed, as a young girl growing up in Houston, that I would even travel to Africa – much less live here! 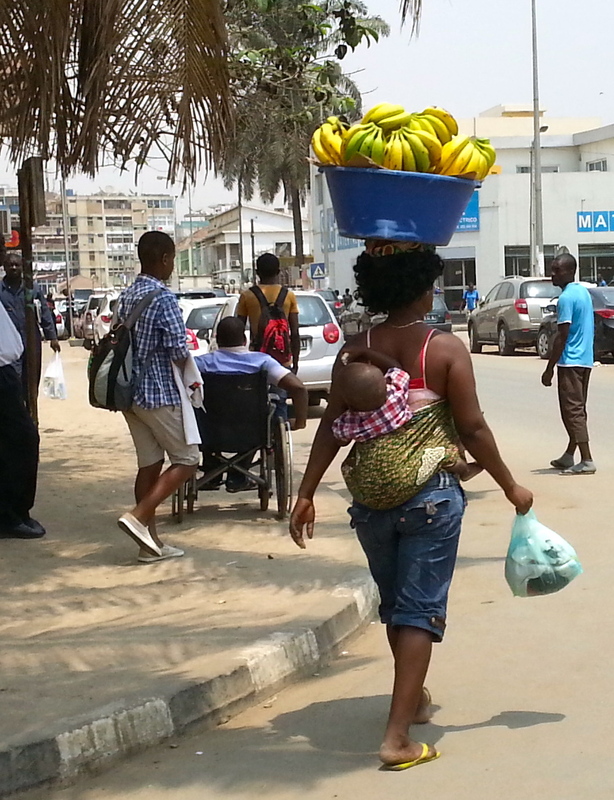 Now, changing money on the street and buying vegetables from a woman with a baby tied to her back is part of my daily life. Pretty darn cool. There will be challenges, some big and some merely irritating. ‘Death By A Thousand Paper Cuts’ is the way some people describe living and working here. Since I only arrived two weeks ago, I am determined to approach this from a glass-half-full perspective. Stay tuned to see how well I do at that!